At Benchmarq we offer a wide variety of software training courses across the United Kingdom. All of our instructors are experts in the CAD and BIM fields. 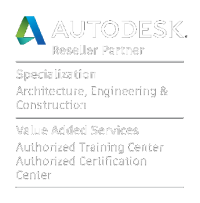 We offer courses for most of the Autodesk building and manufacturing software portfolio including AutoCAD, Revit, Inventor, Civil 3D, Vehicle Tracking, 3DS Max Design and Map 3D. We take customer satisfaction very seriously, so we ask students to fill in a form at the end of every course to improve our services. Our hands on, professional courses run from 10am until 4pm each day and include free refreshments and lunch. All of our training facilities are clean, modern and contemporary, in very accessible locations. AutoCAD Essentials Course in London – “The venue was easy enough to find although some door numbers on the shops up and down Oxford Street would have helped pinpoint the exact location – the meeting rooms were bright and we were well looked after on the refreshment side. Lunch was included, basically fruit and sandwiches but good quality and very fresh. “Our trainer was Carl Alford, what a lovely fella…he was very easy to communicate with, made both days seem fun and interesting and kept our attention throughout. Carl explained the interface and button functions and took us through various exercises to teach us how to use the software to its best, he offered tips and guidance and was even happy to repeat himself when we did not get it first time. “There were four of us on the course which to me seemed like the perfect amount as we all got enough tutor attention when required. We were lucky that we had a friendly group of people attending and it was nice that we were all at the same level so could move through the two days agenda together.